In which I tell you all about the woes of being a student, working part-time, having no money and a little bit of an addiction to buying sewing patterns. 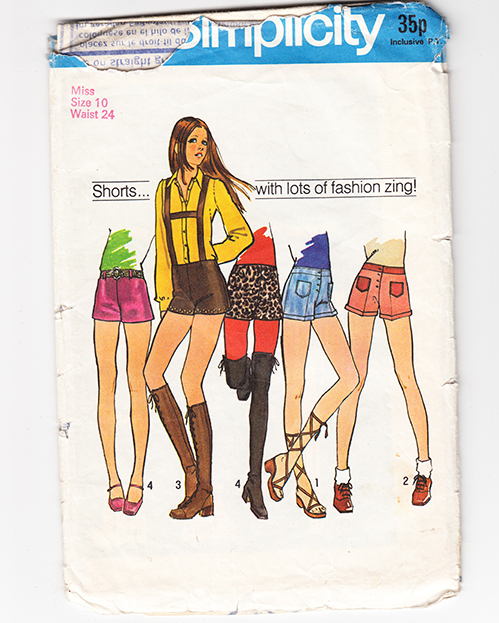 In a bid to be more sensible, I’m selling some vintage patterns on Etsy. They are all pretty varied, and the shop is pretty shoddy. See above for the reasons and excuses. I’m trying to pretend I’m not just making more room for more patterns. 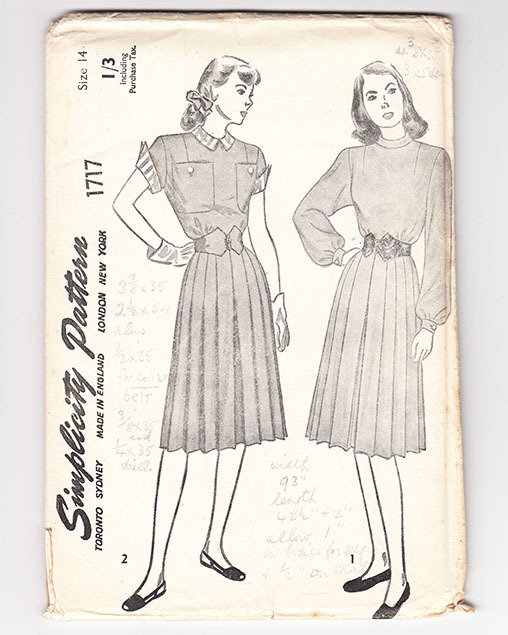 Simplicity 1717 from the 1940s. A lovely little number with fun patch pockets. I really like the pointed sleeve cuffs! Elle 5362. This is a gorgeous multi-size shirt dress from the 1960s. It looks so chic and smart. 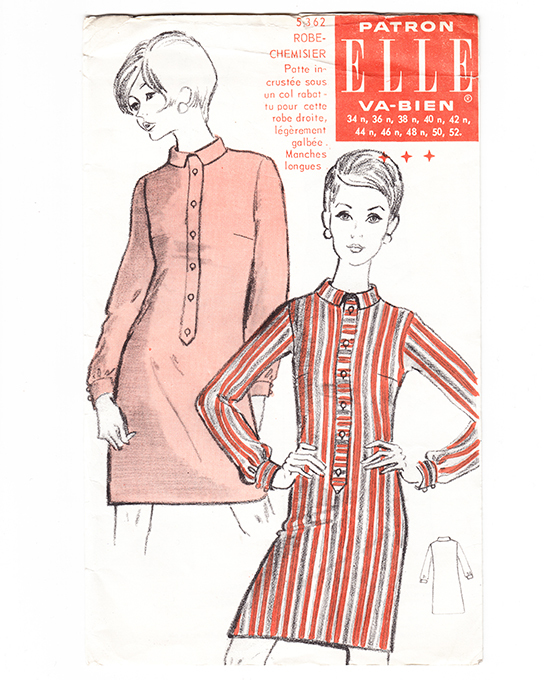 The instructions are in French and English, unfortunately the placket pattern piece is missing, but I’m sure that could be easily re-drafted. Who wears short shorts? 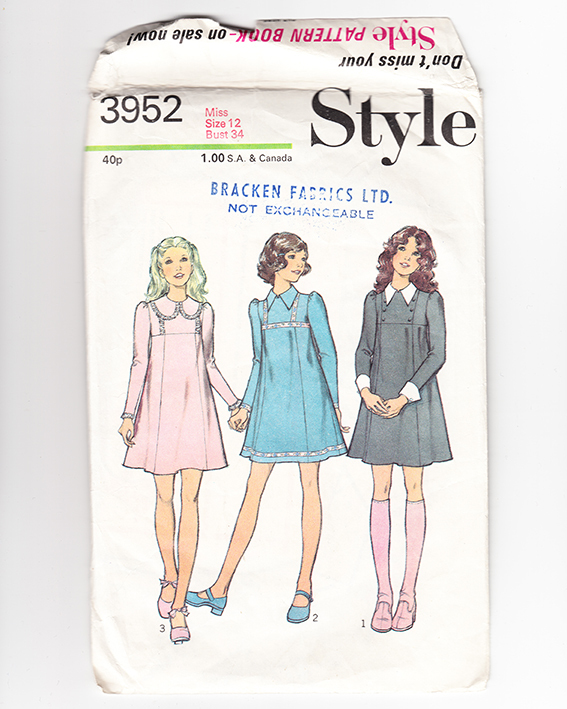 Simplicity 9597. I have had this pattern for years, and have a real fondness for it. 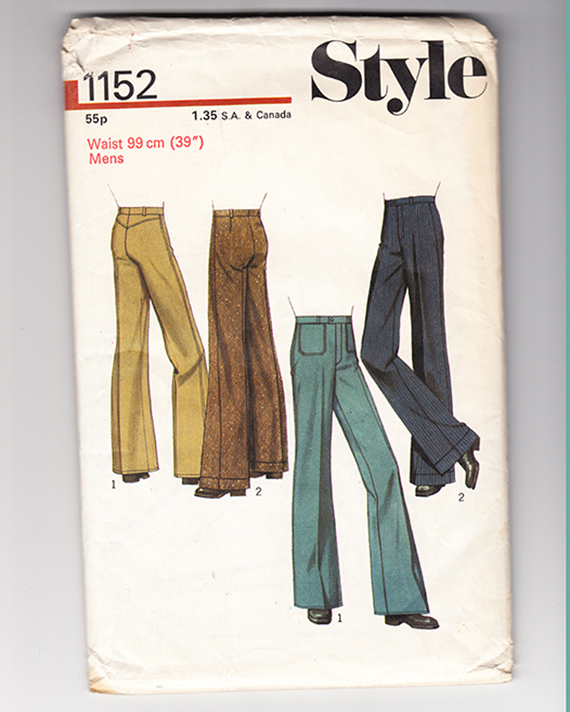 I’m never going to have a 24″ waist, nor am I ever going to be into grading patterns to fit, so into the shop it goes. The green shirt/pink shorts together is such a good look! I’ve got Style 1152 for the gentlemen. It’s the only menswear pattern I’ve got on there sadly, but it’s a good ‘un. In really good condition. I could never convince any boyfriends to wear these, so I might as well give up trying and make some trousers for me instead. And you might recognise Style 3952 from my failed giveaway. The rightful winner never got back to me, so I’m moving it on in internet sewing land. Student times are hard. Upholstery fabric is really expensive. So please have a look if you’re so inclined. I’ll be adding more patterns and also some vintage buttons as the weeks progress (and my funds decrease). I’m shipping worldwide, and will try to accommodate any special shipping requests as best as I can. Love that Elle pattern! Sadly I too, have a a gazillion patterns and no money, but I’ll check out your Etsy shop anyaway!